Professional General Cleaning in Hackney. In need of someone to clean up your place after your party? 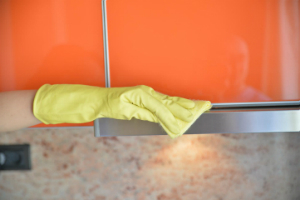 Thomsons Cleaning company offers professional general one-off cleaning services in Hackney E. We also accept same day emergency bookings, so don’t worry - we can come and clean up today! All our cleaners are trained, experienced, background checked and properly equipped to clean up everything professionally. The general cleaning service is hourly based. You choose the hours as well as the priority tasks to be done in this time. The expert one-off cleaning can be only for a single room or item, or for an entire office or house. To find out how much are one-off or regular general cleaning will cost you, call our 24/7 customer care service at 020 3746 0000 or online here. The price quote is non-binding and free. Ever since 2004, Thomsons Cleaning provides high quality, affordable and reliable maintenance and cleaning services to the domestic and commercial customers in Hackney E. With more than 15k new customers each year, and the number growing continuously, we are glad to say that we are among the top preferred cleaning and maintenance companies in the area. Our customers are private homeowners, landlords, tenants, as well as big and small business premises, hotels, commercial and industrial properties, motels, public service agencies and many more. We provide a one-time one-off cleaning service in Hackney E, as well as regular general cleaning depending on your needs. The one-off cleaning is done in accordance to your priorities. It can include the cleaning of a single room or item, or can be full cleaning of entire offices and houses. We will bring our own equipment and professional, safe and eco-friendly Prochem certified solutions at an attractive price, or we can use your own equipment and cleaning solutions. We work according to a detailed cleaning checklist. You will tell us which cleaning tasks are of top priority, and we will tell you how many hours we will need to complete them. Our regular cleaning services are for those of you who need someone to take care of the cleaning and other errands at office or the home. The cleaner comes weekly, fortnightly, daily or monthly. The cleaners are vetted and reliable, so you can trust them with your belongings. The regular and one-off cleaning service in Hackney E can include any of the following tasks, given that there is enough time: cleaning bathroom and toilets, living room cleaning, bedrooms cleaning, hallway and staircase, cupboards, balcony cleaning, bench tops, shelves, drawers, kitchen surfaces, picture frames, windows, mirrors, window sills, sinks, window frames, laundry and ironing, washing cups and dishes and others. To get your office or home clean or to keep it clean at all time, at an affordable price, book our general cleaning services now! If you need a regular or one-off cleaning for your home or business premise in Hackney E, contact our customer care operators at 020 3746 0000 or via the online booking request form. The service is available 24/7. You will be sent a written confirmation within two hours. You do not need to pay a deposit for booking. Our prices are hourly based and fixed. We offer discounts for customers who book several of our maintenance or cleaning services at once. Landlords, regular customers and estate agencies get preferential prices. Book now - we are available without holiday on weekends or national holidays.